Web and graphic designers are always looking for excellent sources of inspiration.Here are 50 Awesome collection of some of the best places to get design inspiration online. A blog featuring typography news, resources and more. They feature mostly print materials that display excellent use of typography, though inspiration could be drawn from here for both print and web applications. Their handpicked font collections showcase the best fonts each year (four years are currently available, 2004-2007). A downloadable design magazine featuring international artists and designers that started in January of ‘07. They showcase designs by artists and designers from all over the world distributed on a platform that’s accessible to people from all walks of life. A CSS web design gallery that was founded because of the lack of features for tracking design ideas on traditional social bookmarking sites. Categorizes sites in useful ways (such as by color) in ways that traditional social bookmarking sites don’t. A regularly-updated gallery of photography and art with collections broken into “chapters.” Founded in 2001, its only goal is to provide inspirational images from a collective of creative minds. An international collective of modern art and digital media that releases chapters every three or four months featuring work contributed by members. A gallery featuring all kinds of artwork and design including Flash websites, CSS websites, vector art, advertising, abstract design, photo manipulation, and more. A web design gallery with more than 330 pages of great designs. 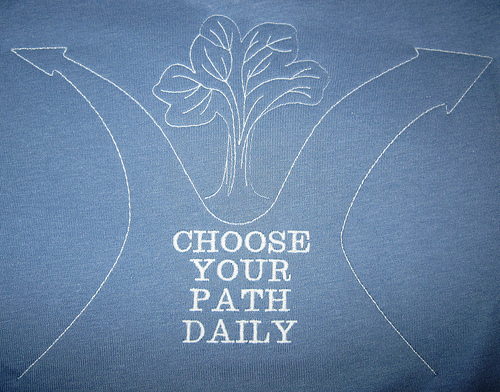 Search the archives by the month a design was featured or by color. A very simple French gallery of CSS website designs that selects sites based on their standards-compliance, technique, coherent graphic design, and aesthetic. 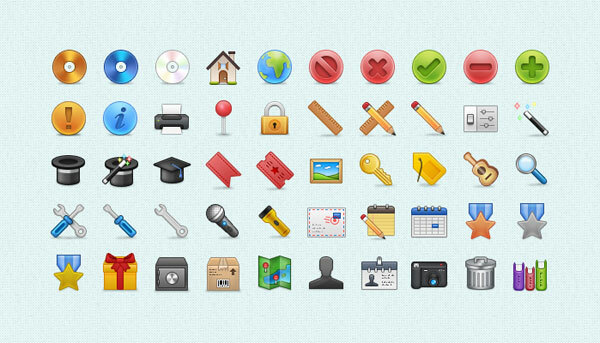 A gallery of exceptional CSS-based designs. The sites featured all contain simple, minimalist, super-clean designs. A gallery featuring more than 10,000 website screenshots. 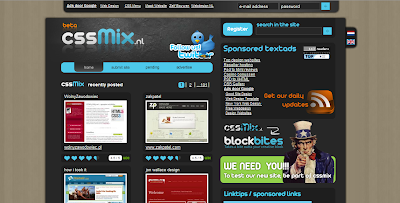 Offers an RSS feed for keeping up with the best new website designs online. An awesome collection of single-page websites. Covers portfolios, applications, and even temporary landing pages with enough information to help a visitor make an appropriate decision. Also includes searchable tags for finding inspiration from similar sites. Designing websites for educational institutions is sometimes more challenging due to the volume of information and the intended audiences (after all, it has to appeal to current students, prospective students, parents, professors, alumni, etc.). This site has a huge gallery of college and university websites sorted by categories and tags, and also features articles on design and other resources. A CSS gallery with more than 2,000 sites featured. They offer RSS feeds for the full gallery and for just the notable entries. The biggest drawback to the site is that the archives are only organized by date. 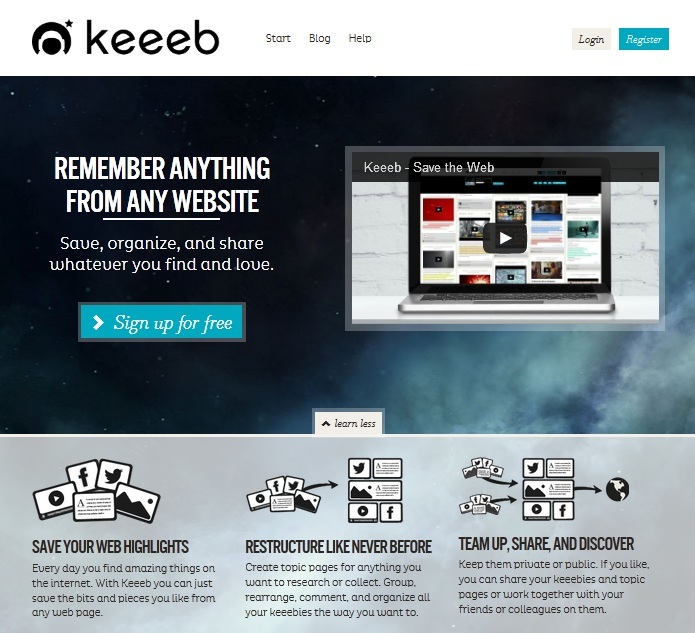 A huge collection of websites with browsable archives. There is no search feature on the site, so while designs are tagged with categories, there’s no effective way to find designs tagged a certain way. View graphic design, photography, web design, digital art, and industrial art galleries. Each category has subcategories to further refine your search. 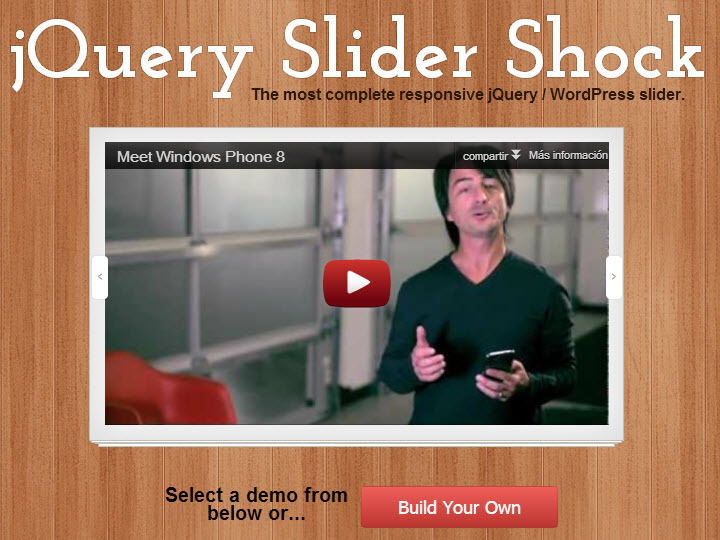 A gallery in a blog format that makes browsing easy. You can view sites by color or search by keyword. An RSS feed is also available. 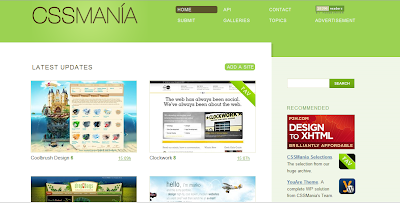 Features some of the best designs on the web with a focus on interactivity, usability, creativity, and originality. A gallery of more than 2,500 CSS website designs that also has monthly featured websites. 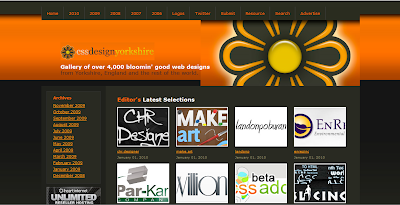 All of the designs featured are by designers in the Yorkshire region and all sites are built with good semantic xhtml. View web design galleries by category—education, business, portfolios, medical, and more. The coolest part about this site is the header, which allows you to browse sites in a similar way to browsing album covers on the iPhone. 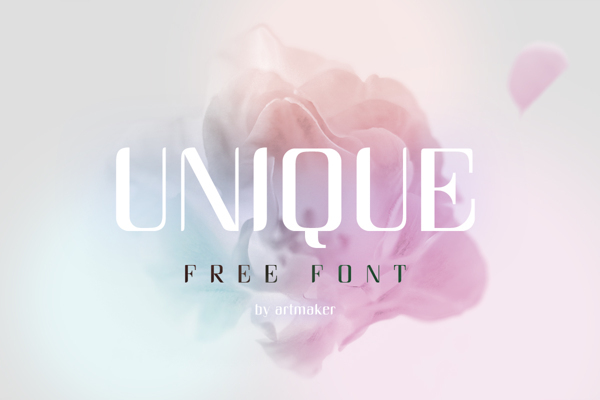 A huge gallery with a blog that features outstanding designs and other useful posts. They normally showcase ten designs each month, though some months they share additional sites if there are tons of excellent submissions. Though currently going in a new direction, this site has an amazing gallery of CSS website designs, as well as a forum, resources, and feature articles. A web design gallery site that also includes podcasts, resources, interviews, news, and more. They also offer an RSS feed and you can follow them on Twitter for regular updates. The sites featured are tagged and can be rated on a scale of 1-10. View and rate CSS designs and check out the blog for web design articles covering a variety of topics. 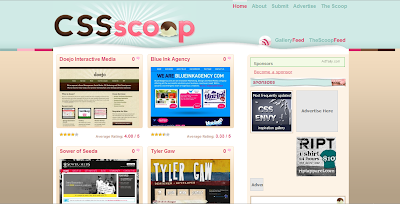 RSS feeds are provided for both the gallery and the blog (“The Scoop”). A web design gallery showcasing appealing site design with a rating system. They offer an RSS feed of new additions and you can follow them on Twitter. Gallery sortable by color or category and with a rating system and RSS feed. Members can also view sites that are still pending for addition. A gallery featuring only green, eco, and organic websites. They also offer open source templates and the ability to comment and rate designs. 28.Web Designer Wall – The Trends category on Web Designer Wall has amazing showcases of web design elements and complete sites. The inspiration category on this blog has tons of places to go for inspiration and showcases beautiful examples of all kinds of design. A social platform and blog for finding inspiration and sharing your work. They offer design news as well and ways to promote yourself as a designer. A blog featuring new designs and artwork from all over the world. They’ve been around for more than 10 years, making them one of the older design blogs/sites on the net. 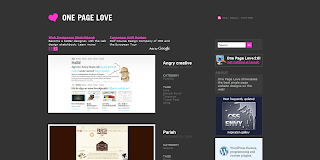 A blog for web designers and developers that includes some great design galleries and articles. The site is put together by Carsonified, the same company that produces the Future of Web Design and Future of Web Apps conferences. Features multiple posts showcasing great designs for inspiration. The blog itself is produced by a web design company in an effort to make their site more useful than just the standard portfolio site. Great inspiration for anyone trying to find just the right font, this site showcases fonts and typography in the world around us, from road signs and shampoo bottles to billboards and posters. Posts offering collections of design elements for inspiration along with tutorials, icons, showcases, and more. Noupe’s goal is to help designers create more engaging websites and functional interfaces. A brilliant design blog with some amazing articles in their inspiration section. They tout themselves as the place to go when you’re having one of those “I’m-going-to-implode-if-I-don’t-get-an-idea-soon” moments. A flip-book format online art & design magazine with a very slick interface. They focus on art, design, and film and track down innovative products, events, trends, and artists from around the globe each month. A free art magazine available in PDF, Flash or executable files for both PC and Mac. Submissions are open to graphic designers, photographers and artists from all over the world. 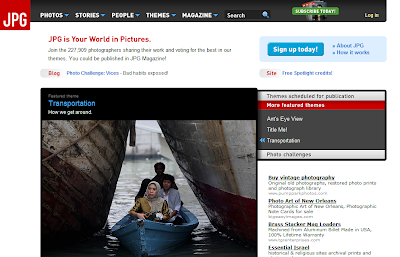 Online photography magazine with a focus on unexpected treatment of subjects. Photographs that treat their subjects with alternate takes, odd angles, and unconventional observations. 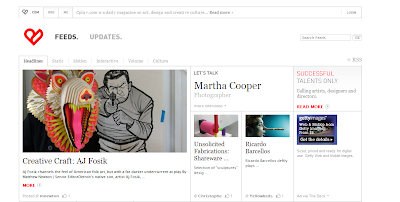 An online magazine that includes a gallery, forums, creative directory, news and more. The creator of the site, Future, publishes more than 100 consumer magazines worldwide. An online magazine devoted to photography with themed issues. Visitors to the site can vote on photos for upcoming issues. They have open themes where photographers can submit work and which may or may not be featured in future issues. A pool of website screenshots with more than 7,000 items uploaded. There are examples of just about every kind of web design present, some with multiple screenshots available. A collection of more than 17,000 graphic design images that don’t necessarily fit traditional design conventions. View more than 10,000 poster designs from all over the world. Great for inspiration whether you’re designing an actual poster or any other print or online project. A pool of graphic designs revolving around the use of photos. Some items from the pool are very straight-forward examples of photo-based design while others are truly original and creative designs. A pool of photos focused on eye-catching color with more than 1.3 million items. Pulling colors from photos is a great way to design a unique color palette for any design project. 47.flickr in full color – Another photo pool focused on brilliant use of color in photography. While there are only around 99,000 photos in this pool (as opposed to the 1.3 million in the previous pool), the quality of the images is outstanding. 48.Graphic Design Magazines – A selection of photos from magazines focused on graphic design. Shows layouts and specific elements from magazines from all over the world. A community-based color gallery that includes colors, palettes, news, and real-world design examples. Members get points for being active participants in the community. A judged site that features six of the best and most unique CSS designs on the web every month. Viewers can then vote and the highest-ranked site each month wins $25.